It’s that time of the month again. 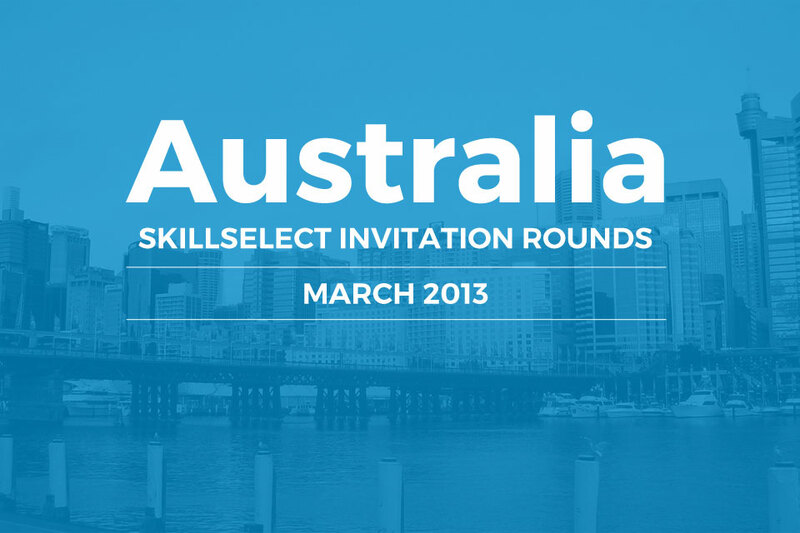 The SkillSelect March 2013 invitation rounds have been finished successfully according to the Department of Immigration and Citizenship. We will once again provide an update of the statistics reported. A total of 1845 invitations were issued in March, a slight drop in comparison to February and the total number of invitation issued in 2012 – 2013 still stands at a seemingly low number of 15,660. There hasn’t been an update on occupation ceilings this month, but we’ll keep a look out and update this post if any new information is released. We have however noticed a trend forming over the last few months in relation to the number of invitations issued according the points scores in the points test. The vast majority of invitations are issues to applicants who have scored 60 points in the points test. One of the main benefits of SkillSelect is the processing times. Once the applicant has lodged their Expression of Interest (EOI) it could only be a matter of months before their visa is approved. This is especially the case if you are considering moving to regional Australia where skilled workers are needed. In some cases our clients have been offered a place within 2 months of lodging their EOI. Before SkillSelect this time-frame was usually more than double that. So this is a major improvement over the previous skilled migration systems.